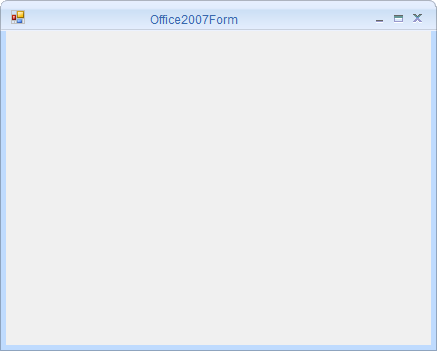 The Office2007Form is an advanced standard Form that offers Microsoft Office2007 like UI and appearance. It allows the end-user to create Microsoft Office2007 like appealing User Interface in their application. It also supports various built-in Color Schemes and customization options that helps user to control its behavior and appearance. Caption Alignment - Supports to specify caption text alignment. Color schemes - Supports various office color schemes like blue, black, silver and much more. Customization - Supports for customizing appearance of Caption bar. Right-to-left - Supports to align the control elements in right-to-left layout. You can refer to the different form controls here.